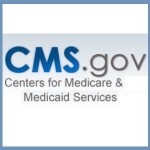 CMS is offering equitable relief to certain individuals enrolled in both Medicare Part A and coverage through the Marketplace for individuals and families to enroll in Medicare Part B without penalty. Further, CMS is offering equitable relief to certain individuals who dropped or lost their coverage through the Marketplace and are paying a late enrollment penalty from their subsequent late enrollment into Medicare Part B. These eligible individuals can have their penalty reduced. Individuals can apply for the Medicare Part B enrollment opportunity and reduction in late enrollment penalties during a limited time – it is available now and ends September 30, 2017. We have analyzed the American Health Care Act, and as currently structured, it would greatly increase the ranks of the uninsured and increase costs for millions more. We will continue our work to both assess the potential impacts of new policies and focus on assuring that we administer the law that exists today. 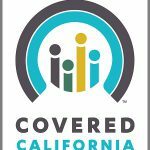 The analysis found that Covered California health plan premiums could rise up to 49 percent if two key elements that have been in place for the past four years are changed: Cost-sharing reduction reimbursements are no longer directly funded as reimbursements to carriers, and the shared individual responsibility payment is not enforced. The misnamed “market stabilization” rules sabotage the Affordable Care Act by significantly reducing the open enrollment time period and creating other conflicts with state laws. Like President Trump’s threats to eliminate the cost-sharing subsidies, his new regulations will destabilize, rather than strengthen, the health insurance market. This rule proposes changes that would help stabilize the individual and small group markets. This proposed rule would amend standards relating to special enrollment periods, guaranteed availability, and the timing of the annual open enrollment period in the individual market for the 2018 plan year; standards related to network adequacy and essential community providers for qualified health plans; and the rules around actuarial value requirements. The IRS announced to tax preparation professionals that they will not reject a tax returns because the tax payer has not indicated whether they had health insurance coverage for 2016. Under the ACA, if a tax payer has not had health insurance for most of 2016, they are subject to the Shared Responsibility Payment also referred to as the Individual Mandate. 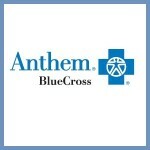 This Executive Order has no immediate impact on Anthem plans or our members’ benefits and coverage. It is the policy of my Administration to seek the prompt repeal of the Patient Protection and Affordable Care Act (Public Law 111-148), as amended (the “Act”). In the meantime, pending such repeal, it is imperative for the executive branch to ensure that the law is being efficiently implemented, take all actions consistent with law to minimize the unwarranted economic and regulatory burdens of the Act, and prepare to afford the States more flexibility and control to create a more free and open healthcare market.